Sir Hugh William Bell Cairns KBE FRCS (26 June 1896 – 18 July 1952) was an Australian neurosurgeon. For most of his life he lived in England. His concern about despatch rider injuries sparked research which led to increased use of motorcycle helmets. After one of his patients, Lawrence of Arabia, died, he studied the positive effect the use of motorbike helmets had on reducing the severity of head injuries. Hugh Cairns was born in Port Pirie, South Australia, but went to Adelaide for his secondary education at Adelaide High School and tertiary education at the University of Adelaide. In 1917, he was awarded the South Australian Rhodes Scholarship to read Medicine at the University of Oxford. He was president of the Balliol Boat Club and represented Oxford as bow in the Boat Race of 1920. Cairns worked as a neurosurgeon at the London Hospital and with Harvey Cushing at Harvard before setting up the Nuffield Department of Surgery in Oxford, in which he became the first Nuffield Professor of Surgery. He was a key figure in the development of neurosurgery as a specialty, the formation of the University of Oxford Medical School, and the treatment of head injuries during the Second World War. 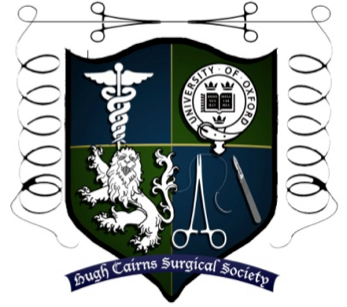 The Cairns Library (one of the Bodleian Libraries) at the John Radcliffe Hospital in Oxford is named after him, as is the medical school Hugh Cairns Surgical Society. A blue plaque for him at his 1920s residence at Loughton has been erected. Profoundly affected by treating T. E. Lawrence for head injuries during the six days before the latter died after a motorcycle accident, Cairns began a long study of what he saw as the unnecessary loss of life by motorcycle despatch riders through head injuries. His research led to the use of crash helmets by both military and civilian motorcyclists. As a consequence of treating Lawrence, Sir Hugh Cairns would ultimately save the lives of many motorcyclists.